Bundesliga | Who is Matthew Bondswell, the newest English kid on the RB Leipzig block? Who is Matthew Bondswell, the newest English kid on the RB Leipzig block? After month upon month of high-school exam prep, the summer break cannot come soon enough for the majority of 16-year-olds. Some use the opportunity to unwind, others delve into the world of work. Matthew Bondswell has joined RB Leipzig. If reports are to be believed, the England U16 international resisted interest from - among others - English Premier League giants Liverpool and Manchester United, instead plumping for a move to a club with a leaning towards the young, raw and gifted. Bondswell is an England U16 international and was a regular in Forest's U18s last season, putting his God-given athleticism to good use down the left-hand side. Indeed, the lively left-back could have quite easily opted for spikes over studs, having won a silver medal in the triple jump at the English Schools Track and Field Championships in the summer of 2017, taken gold in the same discipline at country and schools level and represented Nottinghamshire Schools at 200m. Ask a silly question. Although Bondswell is still awaiting his senior debut, he's already being talked up as one of the best young defenders of his year group following some eye-catching performances for club and country in 2017/18. Forest certainly didn't want him to leave, but he turned down their offer of a professional deal at the City Ground. Linking up with the U17s to start, first-team football is the ultimate goal for Bondswell. 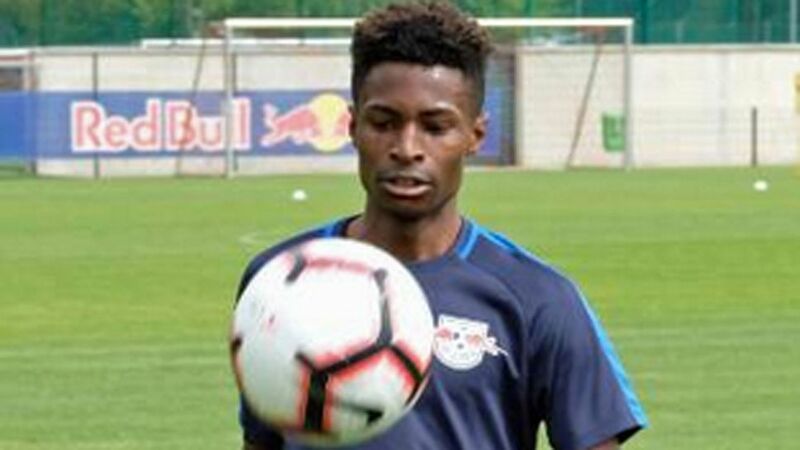 At Leipzig, a club with a proud reputation for recruiting untapped youngsters (Exhibit A: Ademola Lookman) and promoting from within (Exhibit B: Elias Abouchabaka), he has every chance of realising a dream that may well have fallen flat had he remained in England.